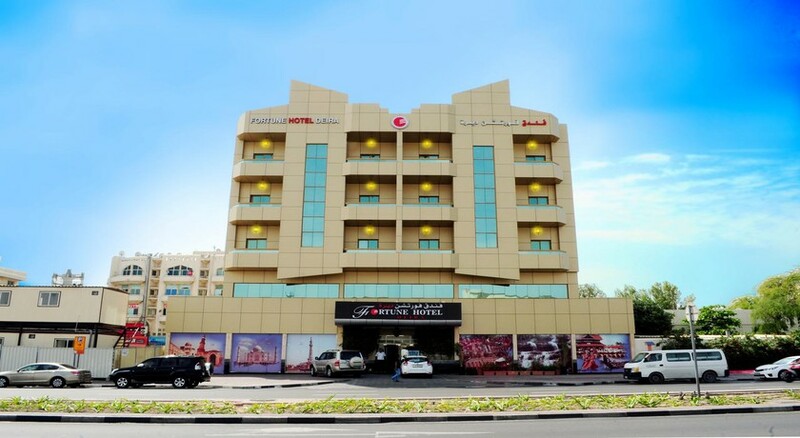 Nestled within the heart of Dubai’s bustling Deira District, Fortune Deira hotel offers elegant air-conditioned rooms and a 24-hour front desk. 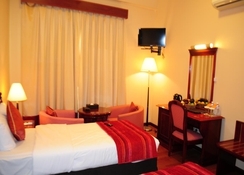 The hotel is in close proximity of several shopping malls and tourist attractions such as the Gold Souk, Spice Souk, Deira City Centre and the Al Ghuraiar Mall. The Union Metro Station is within walking distance – providing wonderful connectivity to most of Dubai. There's a spa offering exotic massages to guests and relaxing therapies. A breakfast buffet and free newspapers are complimentary for all guests. This is often a favourite choice among business and leisure travellers to Dubai for its strategic location and comfy facilities. 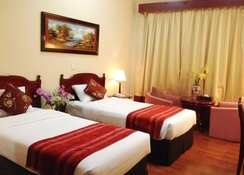 The luxurious hotel offers warm hospitality and excellent guest amenities. The Fortune Hotel Deira is about a 15 minutes’ walk to the Naif Souq. The Dubai International Airport is only 5.5km, a 15-minute drive. The hotel provides a shuttle service to the airport on request. Some of the biggest malls of Deira are within a couple of kilometres’ radius of the hotel. The hotel is well connected with public transport to the rest of Dubai. All guestrooms at the Fortune Hotel Deira boast a classic interior décor. Each room includes a balcony, a minibar, safe and a flat-screen TV. A shower and a hairdryer are fitted within the en suite bathroom. 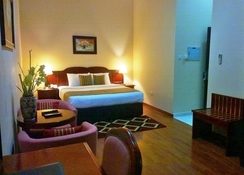 The non-smoking rooms are also available in categories of VIP and family rooms. There's room and laundry service. Fortune Hotel Deira has a buffet restaurant with a 24-hour room service. The restaurant also prepares kid’s meals and diet meals on request. There are cookies in the room for guests and fruits can be ordered on request. 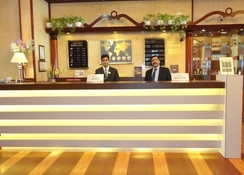 The Fortune Hotel Deira has a 24-hour front desk, outdoor terrace, garden for guests to enjoy. The neighbourhood has excellent shopping, dining and entertainment options. There is a spa that offers exotic massages and relaxing therapies. For a fee, you can enjoy a night out at the hotel’s nightclub. 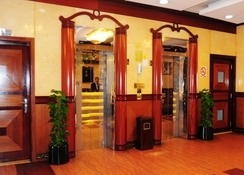 The hotel organizes lively entertainment programmes.